Der Anmeldebeginn musste leider vom 1. Februar 2017 auf den 1. März 2017 verlegt werden. Ab Anfang März ist unser Büro dann auch wieder besetzt. Hier direkt zur Anmeldung für das Ski- und Snowboard Camp! Hier zur Übersicht unserer Camps! This morning we went to one of the most famous museums in California. 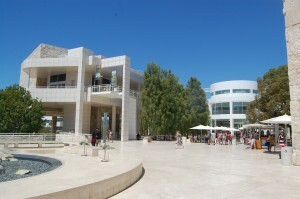 It’s called Getty Museum and was built by Jean Paul Getty. The museum has many old drawings and some of them were very interesting, especially their history. After this, we went to, as always, to a grocery store to buy lunch. We ate lunch at Malibu beach and went swimming, saw a seal, played volleyball and laid in the sun. It was a great and beautiful day. We woke up early and then we had breakfast. After breakfast, we drove to the Disneyland Resort. Then we drove with the Disney Tram to the park. 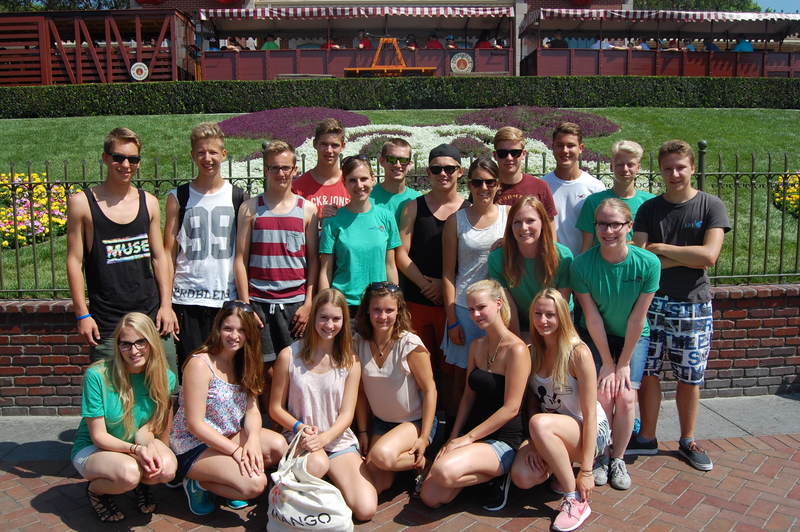 During the day, we visited many attractions like roller coasters and other rides. In the evening, we all met again we watched a huge and awesome firework together. After a long car ride back, we arrived at the hostel and fell asleep easily. Today, we had breakfast at the hostel. At 8.30am, we all met and drove to Magic Mountain, a giant roller coaster park. Most of us rode many roller coasters and we had so much fun. After that long and exhausting day, we finally ate at “In n’ Out Burger” and drove back to the hostel. At midday, we arrived at the mainland and drove to Lucia’s gym in Pasadena. After leaving our luggage there, we left for a shopping afternoon in a huge mall. It was really impressive. In the evening, we went to a concert and we celebrated Felix’s birthday. The next day was supposed to start with a short hike. 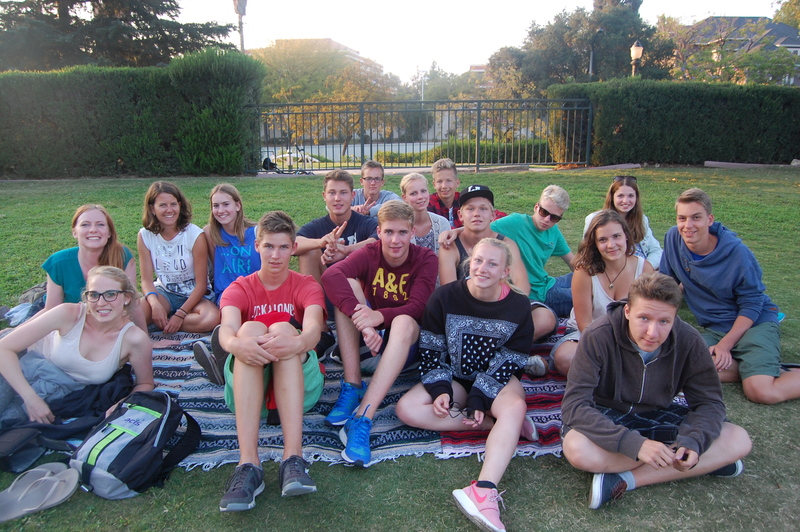 We didn´t find a parking space so we drove to a park where we ate and played some games. Later, we did some gymnastics in Lucia´s gym where we also slept while we were in Pasadena. In order to take showers, we went to a pool with extremely strict rules. In the evening, we ate at the Cheesecake Factory. Everybody enjoyed that.